Henry's Kitchen is a few employees and limited seats enable us to serve high quality at lower price in a small space. We offer original and creative dishes with great quality in-season raw materials. If you are looking for high quality French and Italian food for a great value, we are the restaurant for you! Dishes such as Boeuf Bourguignon & Bouillabaisse Marseilles, in our dinner menu, offers Traditional and truly Authentic French Cuisine that you can't find anywhere else! 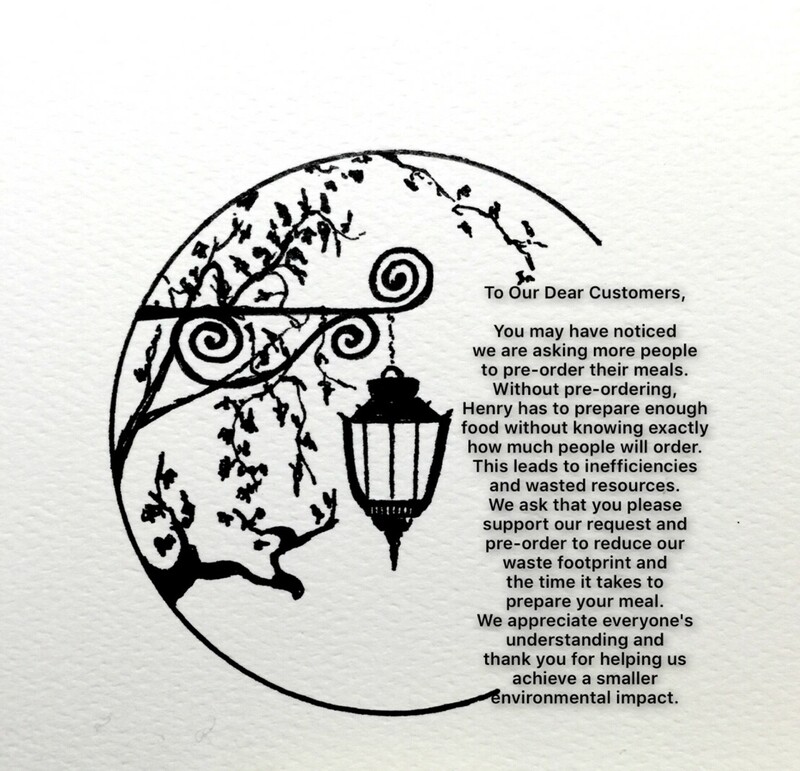 Henry's always got new dishes for you. Come to the restaurant and check our daily special. Don't miss out. Everything is Fresh and Homemade, not precooked. we are TWO person team. with a reservation we can accommodate a maximum of 4 guests per party. no exceptions. this allows Henry to prepare his homemade ingredients and create quality Cuisine. Thank you for your cooperation and understanding! Due to past experience and for the consideration of our other guests please note the restaurant is not suitable for children under 12 years of age. henry's kitchen reserves the right to charge a cancellation fee of $15.00 per person for any booking NO-SHOW or cancelled within this 24 hour notice period.